Last week this column discussed several areas of the law. I tried to highlight the fact that the law is much broader than the constitutional questions that consumed us during and after the August 11, 2016 elections. Today, we will continue to highlight some more areas. 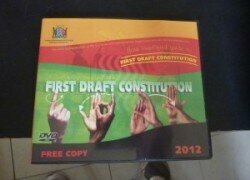 Just like I had written last week, the law in Zambia is multi-faceted and covers a lot more areas. Lawyers typically study not the law, but the laws. The Zambian government is a very huge enterprise. It is a huge enterprise that basically does not make any profit on any businesses it runs. GRZ is such a poor business person that everything it runs results in losses. To put it into perspective, GRZ has been making losses since 1964 on all of the businesses it purports to run, from Zambia Daily Mail to Zambia Airways. From ZAMTEL to ZESCO one thing that is common on the balance is sheet is this: big losses. With so many losses, GRZ depends upon other people’s money to run its affairs and to subsidize the loss making companies it purports to run. GRZ depends on the tax payers. GRZ loves other people’s money: your money. Tax law is that area of law that regulates how GRZ taxes persons, both the living and the dead, both natural and unnatural, and both the willing and the unwilling. Recently, a famous company in the news business that was not paying its fair share of taxes was closed. The ensuing debate about how much it owed and how it ought to have remitted to the taxwoman is the concern of tax law! I must add a caveat, taxes GRZ collects however, does some good things like build infrastructure, buy Panadol for hospitals, pay teachers and keep our borders safe. A few years ago, when Tourism minister Sylvia Masebo appointed Justice minister Wynter Kabimba to the Zambia Wildlife Authority (ZAWA) board of directors, it raised a few eyebrows. It was quite unusual to have a cabinet minister become a board member of an administrative body. That anomaly aside, we later discovered that Kabimba was actually an expert in “wildlife law”. What on earth is that? Wildlife law is the area of law that has to do with, you guessed right, wildlife! What rights does a hippopotamus in the Dundumwezi reserve have? Bo Kabimba is the lawyer to help us resolve that problem. Registered corporations operate under some fiction where they are recognised at law as “persons”. As persons that are distinct and separate from their owners or shareholders, corporations can contract and be liable for contracts. Modern company law has somewhat eroded and chipped at the corporation bombasa, however. In modern company law, directors or owners of companies should not abuse companies under the pretext that their companies are separate person from the owners. If the company is an extension of an owner and the owner uses it to defraud and steal from the unsuspecting public, a court will have no problem piercing the corporate veil and expose the directors for the scoundrels they are. Corporate law is one interestingly broad area. To encourage commerce in Zambia, the successive Zambian governments beginning with Chiluba to Lungu have made it easier for Zambians to register companies. This is a very positive move. The machinations of modern statecraft are complicated. The constitution tells us of the three organs of government, but it does not explain the relationship of the various bodies that use state power to control or regulate human affairs. That area of the law that deals with the various organs and bodies of the state and how they relate to citizens is called “administrative law”. Administrative law is very close to constitutional law, but they are not the same. Constitutional law looks at the limits and division of government, administrative law looks at the exercise of state power on individual citizens. The cardinal concept in administrative law is that a body or an officer who has been given specific power to exercise must exercise that power within its limits. Some administrative bodies are directly supervised by the government while others are not. As such, it is not just to supervision that we should look when interrogating whether a particular body is administrative or not. For example, even if the Football Association of Zambia is a body corporate in its own right, it, nevertheless, derives its power directly from legislation making it amenable to general principles of administrative law. Additionally, some constitutional bodies carry out administrative law functions as well. While the Chief Justice has a constitutional role as the head of the Zambian judiciary, she also has the administrative law function of presiding over the swearing-in of a President-elect. The swearing-in function is not a legal function, but an administrative one and in that office she is still amenable to administrative law principles. How does the state decide who should be a citizen and who should not? The area of law here is known as immigration and citizenship law. What is quite surprising about this law is how arbitrary it can get. In the famous Lewanika and others v. Chiluba case, the Supreme Court held that before independence there was no citizenship in Zambia. Zambian citizenship became effective on October 24, 1964. However, it got quite absurd for one Kenneth David Kaunda. While he became a Zambian citizen in October 1964, he had earlier in April become a Malawian citizen. Dual nationality was not allowed then. How did KK resolve this problem? Well, the likes of Kapwepwe kept pestering Kaunda about his Malawian roots prompting him to write the Malawian government to renounce Malawian citizenship. It is good that the 2016 amendments to the Zambian constitution now allow dual nationality. Last week and this week’s focus on some areas of the law are not exhaustive and I hope that they will interest some of the readers to do a little more reading on their own. For those who need specific legal advice, I encourage to find Zambian legal practitioners and seek advice specific to their situation. Our column here does not convey specific legal advice at all. Next week I hope to discuss the issue of “the rules of law”. Do the various laws have specific rules that apply to one area and not another? Hint: Yes, different laws have different rules applicable to them. This is what makes law exciting. More in the next article.